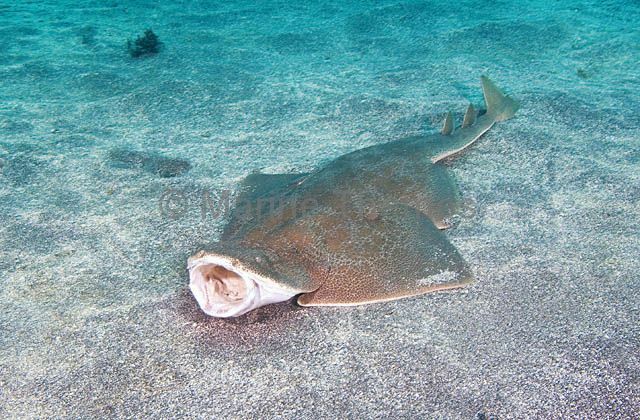 Japanese Angel Shark (Squatina japonica) lying uncovered on sandy seabed. 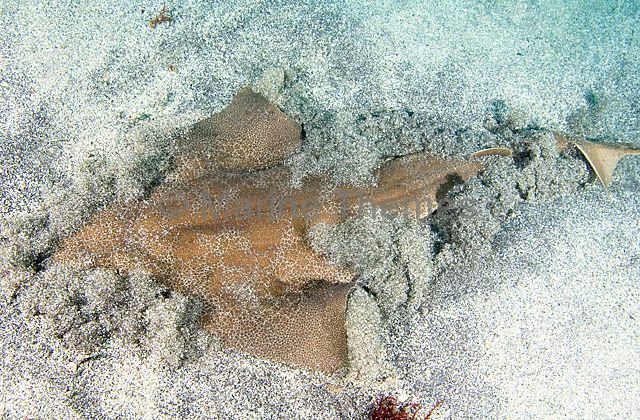 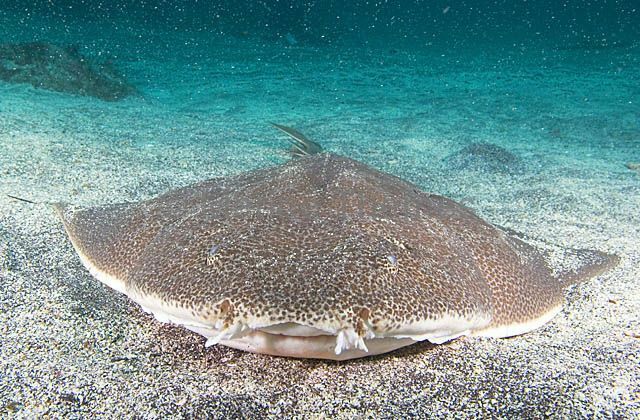 Japanese Angel Shark (Squatina japonica) burying itself in sand. 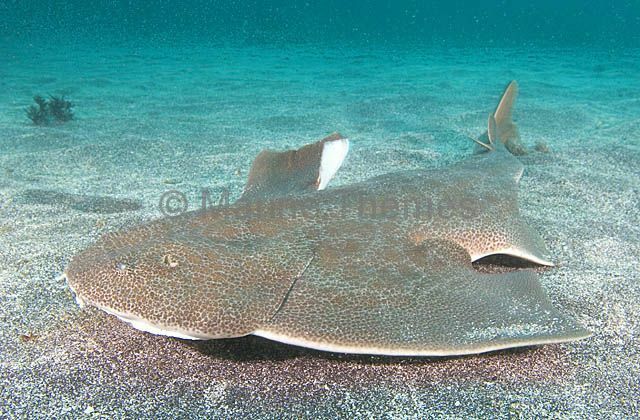 Japanese Angel Shark (Squatina japonica) portrait showing the powerful muscles behind the head used to launch the shark up when attacking passing prey. 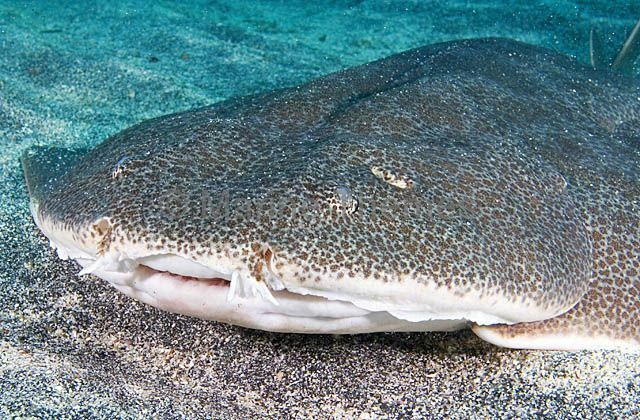 Japanese Angel Shark (Squatina japonica) Detail of face, eye and spiricle. 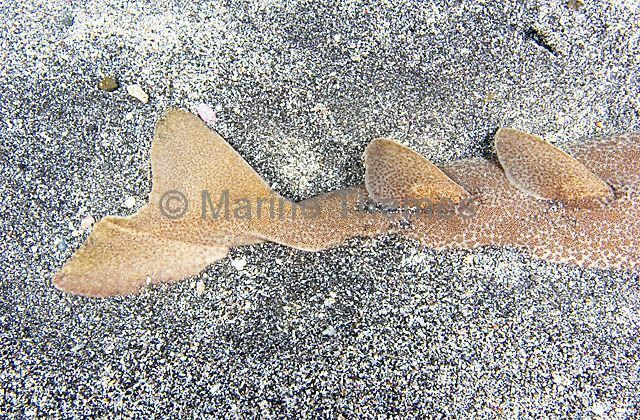 Japanese Angel Shark (Squatina japonica) Detail of tail and dorsal fins. 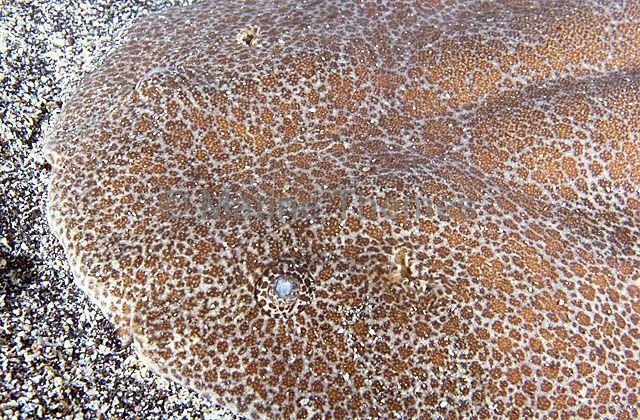 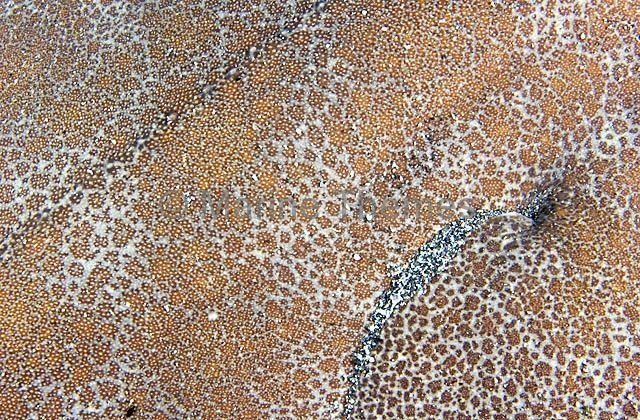 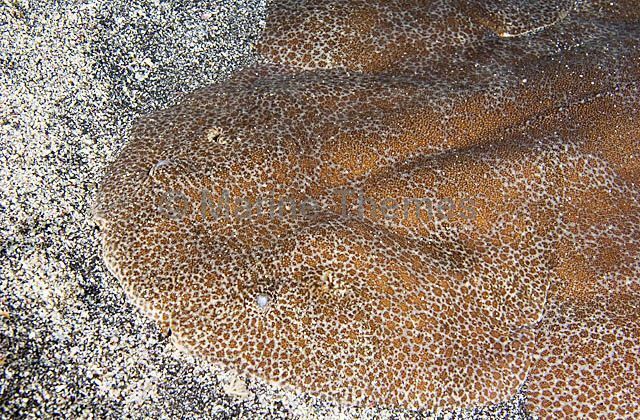 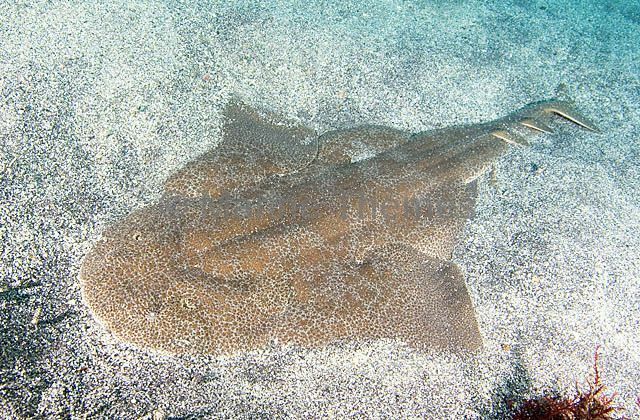 Japanese Angel Shark (Squatina japonica) Detail of muscular back and camouflage pattern. 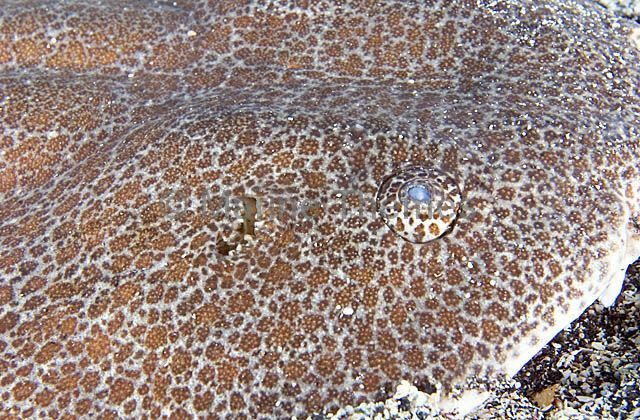 Japanese Angel Shark (Squatina japonica) Detail of eye and spiricle. 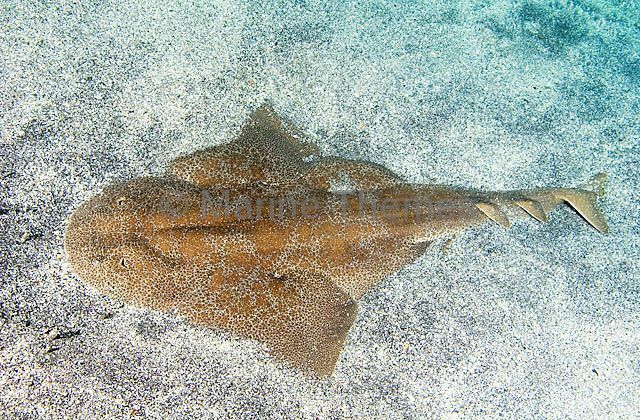 Japanese Angel Shark (Squatina japonica) sitting on sandy seabed. 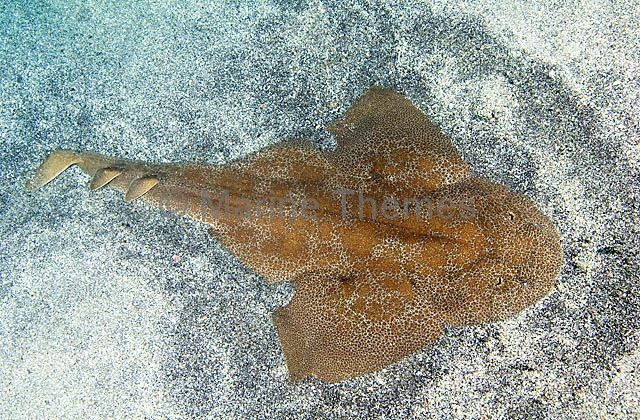 Japanese Angel Shark (Squatina japonica) portrait. 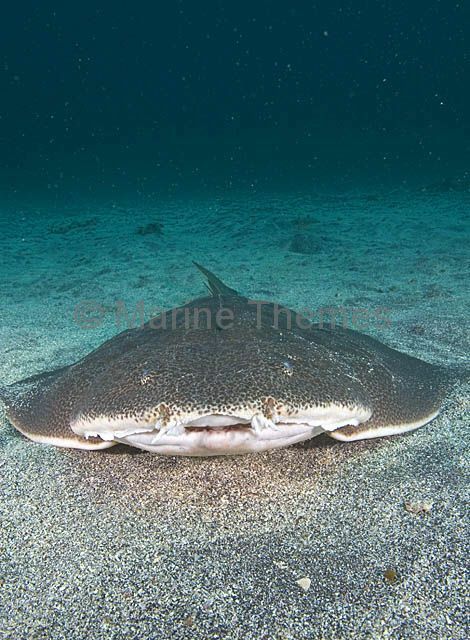 Japanese Angel Shark (Squatina japonica) portrait showing mouth, nostrils, barbels and facial details. 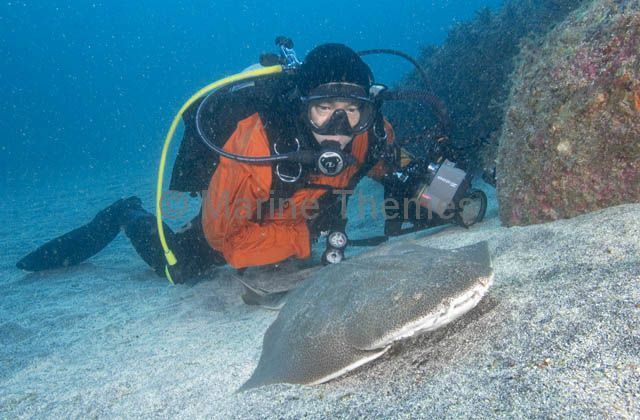 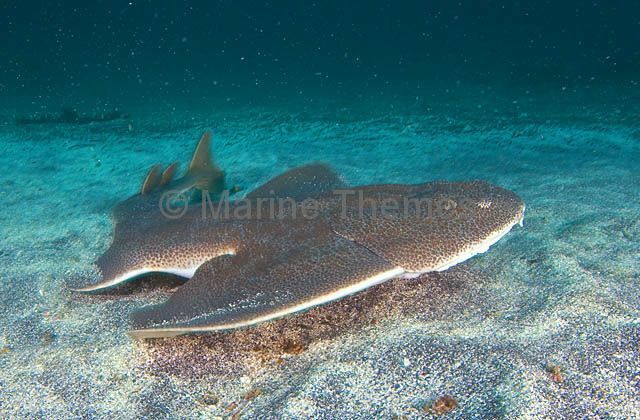 Japanese Angel Shark (Squatina japonica) in prime hunting area, sandy sea bed next to rocky reef, with diver. 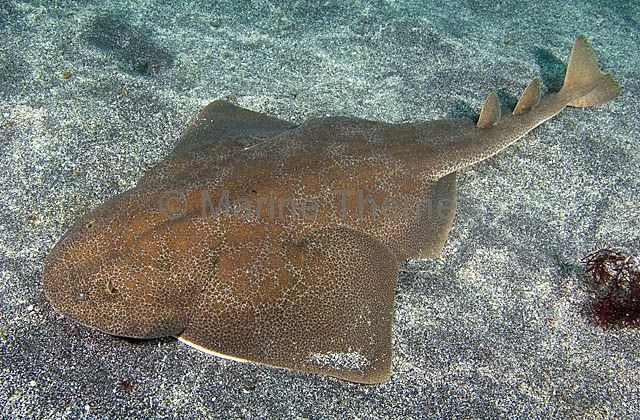 Japanese Angel Shark (Squatina japonica) profile. 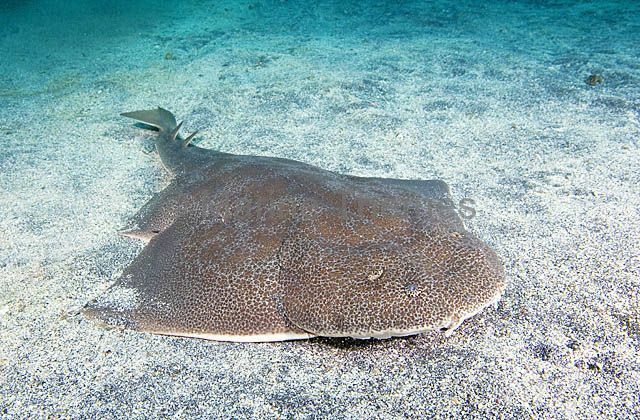 Japanese Angel Shark (Squatina japonica) resting on sand. 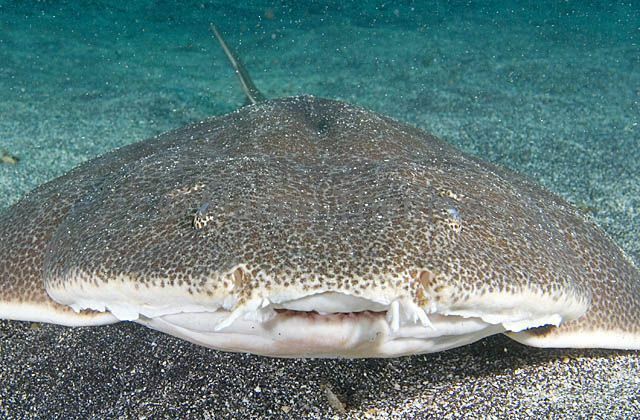 Japanese Angel Shark (Squatina japonica) jawning. 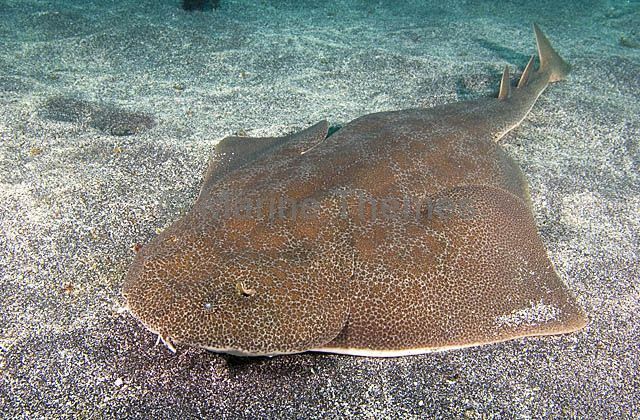 Japanese Angel Shark (Squatina japonica) Large adult.